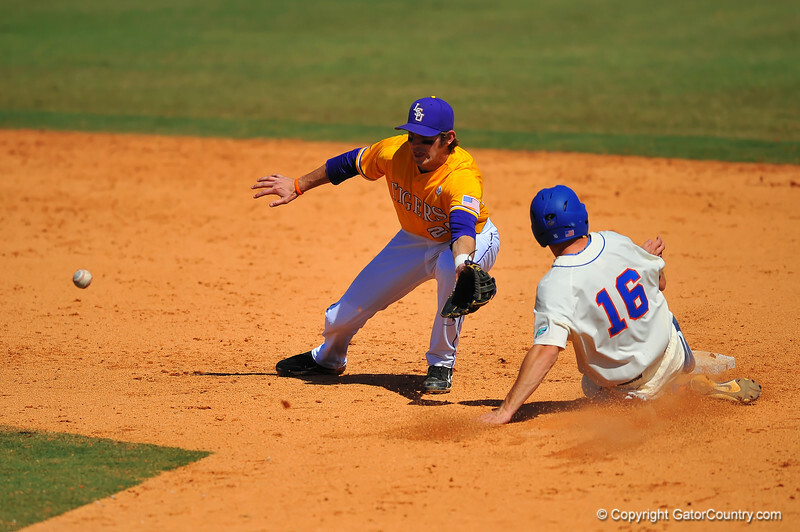 Gator pitcher Justin Shafer slides into second before the ball and LSU SS Conner Hale can tag him out. Florida Gators vs LSU Tigers. March 30th, 2014. Gator Country photo by David Bowie.